This will come as good news to the folks at Fitbit, maker of the hugely popular wearable fitness monitor. It should be even more popular next year. 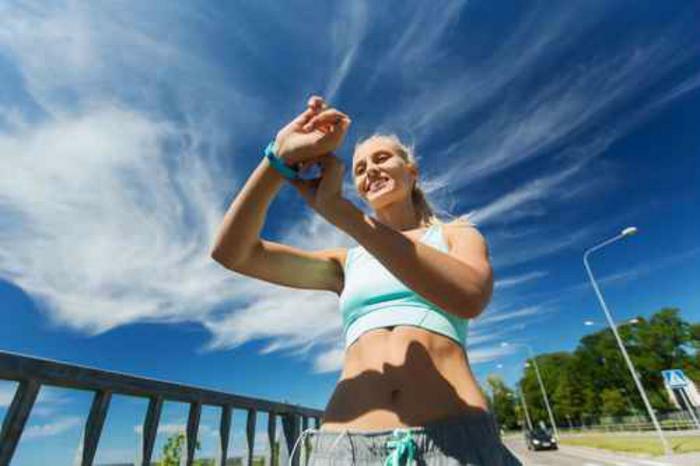 In its annual fitness trend forecast, the American College of Sports Medicine (ACSM) predicts wearable technology will be the top trend in fitness in 2016. The tenth annual survey sampled the opinions of more than 2,800 health and fitness professionals worldwide, many certified by ACSM. Among 40 potential trends, wearable tech to monitor health was the clear winner. Wearable tech was followed in the trend prediction by body weight training, high intensity interval training, and strength training. Wearable technology incorporates a monitoring and tracking device into clothing and fashion accessories. Some track how far the user walks or runs, how many calories he or she consumes, and other features. Fitbit is among the more popular wearable tech products. The Fitbit Charge allows you to view your progress, record workouts, log food, set sleep goals, and even earn badges, with the data stored within an app on your smartphone. The Apple Watch also has a number of health features. The Activity app shows how often you stand up to take a break from sitting, how many calories you've burned, and how many minutes of exercise you've completed. Sentio's emotion-tracking wristband may allow users to "Hack Happiness"